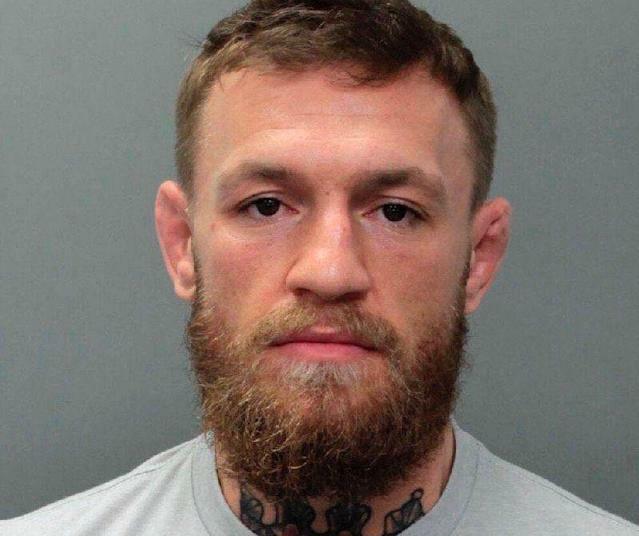 Miami police arrested UFC star Conor McGregor Monday evening after he allegedly stole and smashed a fan’s phone outside a Miami Beach hotel, the Miami Herald reports. 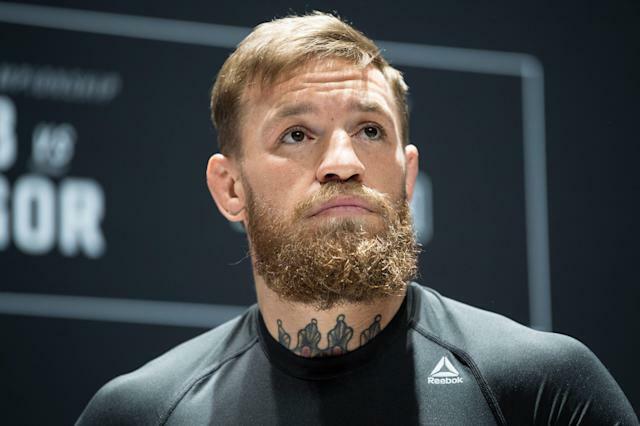 A police spokesman told The Herald that McGregor is being charged with felony strong-armed robbery and misdemeanor criminal mischief. The alleged incident occurred around 5 a.m. as the fan was taking photos outside the Fontainebleau, which is home to prominent Miami night club LIV. Police say McGregor “slapped” the phone out of the fan’s hand and stomped on it several times after the fan took a picture. McGregor then picked the phone up and walked away with it, according to the report. Police told the Herald that there is surveillance video of the alleged incident and that they decided to arrest McGregor after investigating. This is McGregor’s second arrest in less than a year after last April’s attack that saw him hurl a guardrail, dolly and chairs at a bus at the Barclay’s Center in New York during UFC 223 media day. The attack left multiple people injured, including UFC fighter Michael Chiesa, who was forced him to withdraw from his scheduled UFC 223 fight against Anthony Pettis. The incident happened after UFC head Dana White announced that McGregor would no longer be lightweight champion after the fight between Khabib Nurmagomedov and Max Holloway. McGregor pleaded guilty to one count of disorderly conduct and was sentenced to community service and anger management classes in a deal that allowed him to escape 12 criminal charges that could have resulted in up to seven years in prison. McGregor reportedly completed his community service from that incident last week. Since the bus incident, McGregor lost to Nurmagomedov in a title fight at UFC 229 that devolved into chaos when Nurmagomedov leapt over the cage after submitting McGregor to attack McGregor’s training partner Dillon Danis, who was reportedly taunting him throughout the fight. Two members of Nurmagomedov’s corner then leapt into the cage to attack McGregor. The incident was the culmination of an ugly fight buildup that saw McGregor hurl insults at Nurmagomedov and his team. Three members of Nurmagomedov’s team were arrested and released after McGregor declined to press charges. McGregor was booked in a Miami-Dade County jail on Monday evening. He was later released on $12,500 bond.